To remote MMC console to a standalone (non-domain) computer, add a temporarily administrator account on the target server core that share identical account name and password on another full GUI computer (e.g. Win7, Full Win2K8R2 etc). 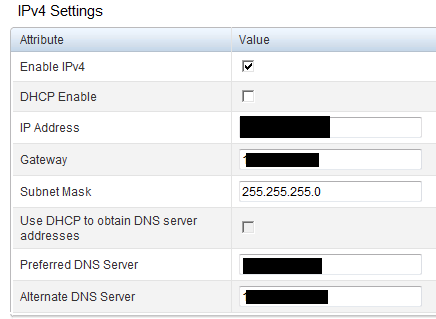 Use "sconfig" on the server core to add a local admin account (option 3) and to enable remote administration (option 4). "winrs -r:%servername% remote command" and press on "Enter" button. netsh interface ipv4 add dnsserver name="Local Area Connection" address="10.10.10.2"
In the part 4, I mentioned about using MDT2010 to perform Windows installation over the network share. After you have installed, configured and patched this reference computer, you may like to "clone" this image for subsequent server deployment. For step-by-step details, please click on "How to run a Sysprep and Capture Task Sequence from MDT2010". The well-known default login name and password for iDRAC6 are "root" and "calvin" respectively. You should change it immediately, which may probably turn into accountability issues of having shared password among various administrators. A better way is to configure it to permit AD authentication that allows individual login accounts and ensures consistent password policies. 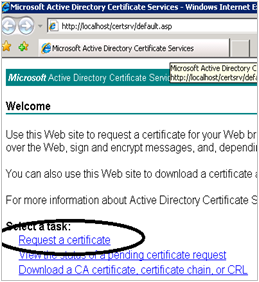 Step 1:Enable Microsoft Active Directory on "Directory Service" under "Network/Security"
Step 2: Enable cert validation and upload the Enterprise CA cert. Step 4: Enter the fqdn of domain controllers e.g. dc1.domain.com. Define the user groups on AD and authorize appropriate rights accordingly. Step 5: Lastly, test the settings. Supply the test account name using "user@domain.com" format instead of "domain\user" format that won't work. Dell's integrated light-out (ILO) management iDRAC6 allows administrators to manage servers remotely (using Java-based virtual console), as though they were in front of the console physically. Think of it like IP KVM. 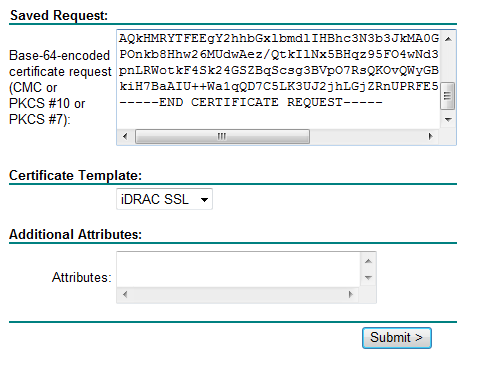 Managing iDRAC is performed over web console. Most likely, you would be greeted by SSL warnings, which is using a default self-signed cert. To do away with these prompts permanently, you would have to setup a PKI within your enterprise network, such as Active Directory Certificate Services (AD CS). 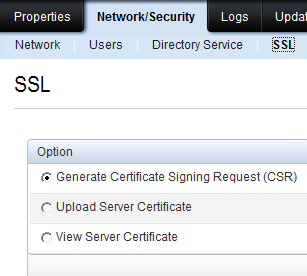 Click on "Generate Certificate Signing Request (CSR)" and download a text-based file. Open this file with a notepad or wordpad. Logon to the web enrollment service e.g. http://certservername/certsrv. Click on "Request a certificate" and "Submit a certificate request". Focus back on the notepad, copy the contents of the csr and paste it on the certificate request. Select the appropriate cert template. Click "Submit" and download the server cert. 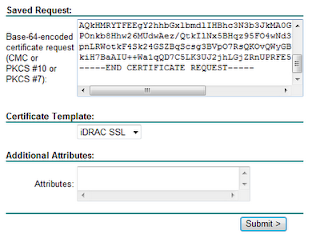 Upload this cert via the same SSL web console page on iDRAC setting earlier. And iDRAC will take a few minutes to reset itself. If you still see SSL errors, take a look and troubleshoot. Most likely, it's due to some typo errors that causes a mismatch between Common Name and the DNS name. In Cisco IOS, you would use debug statement for troubleshooting. How would you do it in JUNOS?